New Delhi, April 13: The Election Commission of India (ECI) has launched a new mobile application, named 'PwD', aimed at providing doorstep assistance to divyangjan or specially-abled voters doorstep assistance. The app is designed to ensure high turnout among the specially-challenged section of the electorate, while minimising the inconveniences faced by them. "The PwD app is out there to help Diwyang Jan cast their votes. 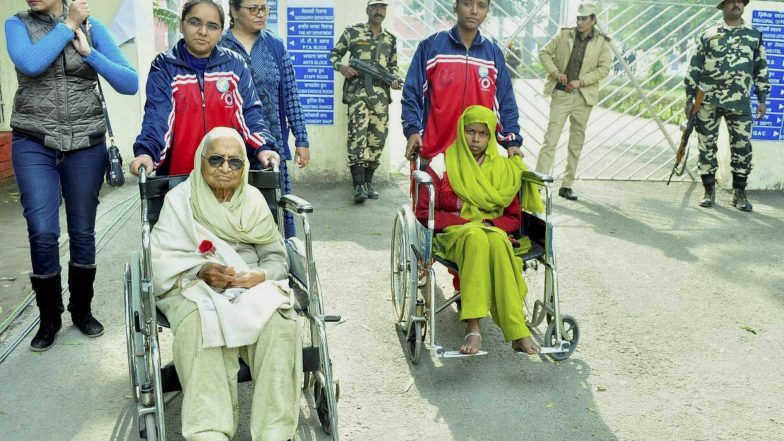 They are specially abled people who should use their ability to the fullest on polling day," the Commission said in a statement on social media. EC’s Mobile App Helps Over 300 Eligible Voters to Cast Vote in Meerut. How the PwD App Works? After downloading the application on your Android or Apple phone, the divyangjan need to send his location on the voting day. The Booth Level Officer will subsequently be directed to designate an ECI personnel who will reach the doorstep of the voter and assist him to the polling booth. If the voter requests, he/she would also be provided a wheelchair at the polling booth. The polling body has asked digitally aware citizens to spread the message among the divyangjan section of the electorate, to ensure they do not face inconvenience in casting their votes.